In icy waters. On a blazing desert. In a dark tunnel. In a woman's mind. The spirits of those who died violently are everywhere. They cannot rest. It's up to the living to give them peace by finishing what was left undone. Niesha didn't want to move from the big city to a small Texas town in the desert. Her mom thought life would be safer there, though. Then Niesha meets a violent spirit who proves that her mom was wrong. Can the geek next door save Niesha's life? Sam and Brady go on a fishing trip to help Sam recover from a terrible car accident. When Sam sees a dead woman in the water, Brady thinks Sam is hallucinating. Is he? Or does a murder victim want revenge? Ever since his mother died, Marcos has been haunted by death. Then he and his friend Cody go to the Oregon coast to fix up a beach house. Tragic events from someone else's past come to haunt them in the present. Will they survive? Isa wants to win a photo contest by taking a great picture of a boat race. Instead, she accidentally takes a photo of a murderer. Will the strange voice she hears help her solve a crimeor will she be the next victim? Chloe and her friends like to hang out on an old train trestle that leads to a dark tunnel. When terrible things start happening there, Chloe keeps going back. 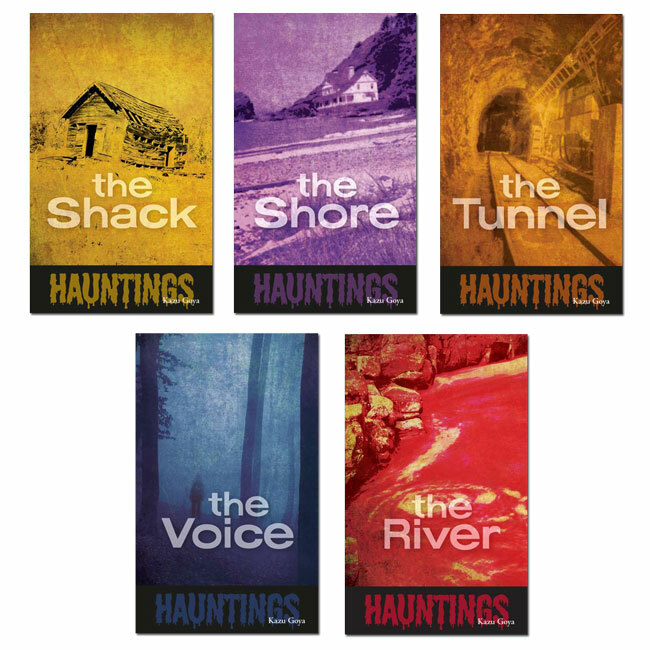 Why can't she stay awayand what is her connection to this haunted place? 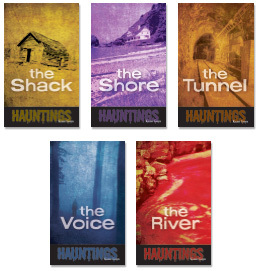 Special Offer: Hauntings and Tales of Horror are now available as a combined set with a discounted price. See Components below.